Another week month and a bit has come and gone and no new post. I have about three or four posts ready to go, except the pictures need to be edited. The program I use to edit pictures just got updated and I haven't figured out how to use it yet. I attempted to try and figure it out, but kept getting distracted...Lauren is turning 4 this weekend so I've been in full on party planning mode! That being said, her birthday is motivation enough for me to learn out the new program. 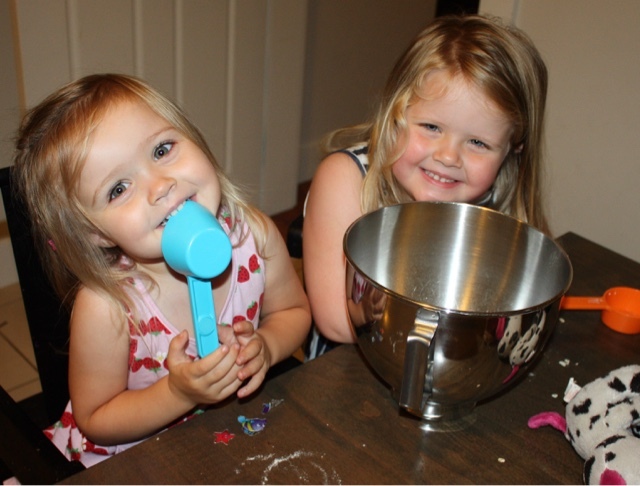 In the mean time, here is a cute unedited, iPhone picture of my girls baking muffins and a link from Lauren's birthday last year.